Could you believe it? Another year swooshed by… and it’s high time to stop being snarky and cynical, disconnect from the Internet, and spend a few days with people who really matter – our families. For me, there’s another large group of people that matter: my users. Unique IPv6 Prefix Per Host – How Complex Do You Want IPv6 to Be? In December 2017 IETF published RFC 8273 created by the v6ops working group (which means there must have been significant consensus within the working group that we need the solution and that it makes at least marginal sense). The RFC specifies a mechanism by which the first-hop router allocates a unique /64 IPv6 prefix for every host attached to a subnet and uses unicast and multicast RA responses sent to unicast MAC addresses to give every host the impression that it’s the sole host on its own subnet. The first thought of anyone even vaguely familiar with how complex IPv6 already is should be “WTF?? ?” Unfortunately, there are good reasons we need this monstrosity. In the first few sessions of the Building Network Automation Solutions online course we used Ansible as the tool-of-choice because it’s the easiest automation tool to get started with. Now that we’ve established the baseline, it’s time to explore the alternatives. In a live session on February 27th 2018, Mircea Ulinic will describe Salt, an open source, general-purpose event-driven automation framework that we briefly discussed in Episode 77 of Software Gone Wild podcast. Every now and then someone looks at a few recent BGP incidents (from fat fingers to more dubious ones) and says “we need a better BGP”. It’s like being unable to cope with your kids or your team members because you don’t have the guts to tell them NO and trying to solve the problem by implementing new procedures and rules. Like anything designed on a few napkins BGP has its limit. They’re well known, and most of them have to do with trusting your neighbors instead of checking what they tell you. As academics, it would be extremely valuable for us to receive feedback from network operators in the industry. It’s fantastic to see researchers who want to base their work on real-life experience (as opposed to ideas that result in great-looking YouTube videos but fail miserably when faced with reality), so if you’re working for an ISP please take a few minutes and fill out this survey. What Exactly Should My MAC Address Be? I'm involved in a Nexus 9500 (NX-OS) migration project, and one bug recently caused vPC-connected Catalyst switches to err-disable (STP channel-misconfig) their port-channel members (CSCvg05807), effectively shutting down the network for our campus during what was supposed to be a "non-disruptive" ISSU upgrade. Interesting use cases enabled by SPB fabric. The videos are now available to everyone with a valid ipSpace.net account – the easiest way to get it is a trial subscription. Should you use IBGP or EBGP? When should you run BGP on the spine switches? Should every leaf switch have a different AS number or should they share the same AS number? A while ago I created an Ansible playbook that creates network diagrams from LLDP information. Ben Roberts, a student in my Building Network Automation Solutions online course used those ideas to create an awesome solution: he’s graphing multicast trees. Moving Complexity to Application Layer? One thing that I notice is you mentioned moving the complexity to the upper layer. I was wondering why browsers don't support multiple IP addresses for a single site – when a browser receives more than one IP address in a DNS response, it could try to perform TCP SYN to the first address, and if it fails it will move to the other address. This way we don't need an anycast solution for DR site. Of course I pointed out an old blog post ;), and we all know that Happy Eyeballs work this way. Most network automation solutions focus on device configuration based on user request – service creation or change of data model describing the network. Another very important but often ignored aspect is automatic response to external events, and that’s what David Gee will describe in his presentation. It’s not THAT bad, particularly if you have a good debugging toolbox. I described mine in the Debugging Ansible Playbooks part of the Ansible for Networking Engineers online course. Please note that the Building Network Automation Solutions online course includes all material from the Ansible online course. This blog post by Ethan Bank totally describes my (bad) Inbox habits. If you're anything like me, you might find Ethan's ideas useful (I do... following them is a different story though). A while ago (in the time of big-versus-small buffers brouhaha) I asked JR Rivers to do a short presentation focusing on buffering requirements of data center switches. He started by describing typical buffer architectures you might find in data center switches. I got numerous responses to the “Why Does It Take So Long to Upgrade Network Devices,” the best ones coming from Béla Várkonyi and Frederic Cuiller. I have yet to complete the rest of the course and assignments, but the whole package was a tremendous help for me to get our Ansible running. We now deploy whole WAN sites within an hour. How many OSPF process ID can be used in a single VRF instance? When I started my ipSpace.net project life was simple: I had a few webinars, and you could register for the live sessions. After a while I started adding recordings, subscriptions, bundles, roadmaps (and tracks), books… and a few years later workshops and online courses. As you can imagine, the whole thing became a hard-to-navigate mess. Right now you can buy almost 70 different products on ipSpace.net. Time for a cleanup. Diptanshu Singh wrote a nice explanation of the math behind reliability calculations. Definitely worth reading even if you hated statistics. Dave Taht sent me a link to IRTT after I published a blog post on measuring end-to-end latency with an Ansible playbook. Definitely looks like a tool worth having in your toolbox. Not surprisingly, as we started discovering the history behind NETCONF we quickly figured out that all the API and automation hype being touted these days is nothing new – some engineers have been doing that stuff for almost 20 years. Here’s another idea from the Building Network Automation Solutions online course: Ruben Tripiana decided to implement a latency measurement tool. His playbook takes a list of managed devices from Ansible inventory, generates a set of unique device pairs, measures latency between them, and produces a summary report (see also his description of the project). A while ago I helped a large enterprise redesign their data center fabric. They did a wonderful job optimizing their infrastructure, so all they really needed were two switches in each location. Some vendors couldn’t fathom that. One of them proposed to build a “future-proof” (and twice as expensive) leaf-and-spine fabric with two leaves and two spines. On top of that they proposed to use EBGP as the only routing protocol because draft-lapukhov-bgp-routing-large-dc – a clear case of missing the customer needs. One of my readers was so delighted that something finally happened after I wrote about a NX-OS bug that he sent me a pointer to another one that has been pending for a long while, and is now officially terminated as FAD (Functions-as-Designed… even documented in the Further Problem Description). Ivan - aren't we now moving the "CLI"[-like] approach, upstream (the one we are just trying to depart, via the more structured and robust approach of RESTAPI). As I explained several times, I don’t know where the we must get rid of CLI ideas are coming from; the CLI is root of all evil mantra is just hype generated by startups selling alternative approaches (the best part: one of them was actually demonstrating their product using CLI). Diane Patton (Cumulus Networks) published a short overview of container networking design options, from traditional MLAG to running Quagga on Docker host. If you want to learn more about individual designs described in that blog post, watch the Leaf-and-Spine Fabric Architectures and Docker Networking webinars, or join one of the data center online courses. We wanted to have a spine/leaf L3 topology for an NSX deployment but can’t do that because the Nutanix servers require L2 between their nodes so they can be in the same cluster. I wanted to check his claims, but Nutanix doesn’t publish their documentation (I would consider that a red flag), so I’m assuming he’s right until someone proves otherwise (note: whitepaper is not a proof of anything ;). This webinar is very comprehensive compared to any other Ansible webinars available out there. Ivan does great job of mapping and using real life example which is directly related to daily tasks. The Ansible online course is even better: it includes support, additional hands-on exercises, sample playbooks, case studies, and lab instructions. However, Ansible is just a tool that shouldn’t be missing from your toolbox. If you need a bigger picture, consider the Building Network Automation Solutions online course (and register ASAP to save $700 with the Enthusiast ticket). Why Does It Take So Long to Upgrade Network Devices? During my long practice, I’ve never seen an Enterprise successfully managing the network device software upgrade/patching cycles. It seems like nothing changed in the last 20 years - despite technical progress, in still takes years (not months) to refresh software in your network. Did you know there’s an RFC describing typical BGP route leaks? I didn’t until I stumbled upon this blog post. I published the last part of my Optimize Data Center Infrastructure series: build an optimized data center fabric. To learn more about data center fabric designs, check the new online course or enroll into the Spring 2018 session of Building Next-Generation Data Center course. I first met Pluribus Networks 2.5 years ago during their Networking Field Day 9 presentation, which turned controversial enough that I was advised not to wear the same sweater during NFD16 to avoid jinxing another presentation (I also admit to be a bit biased in those days based on marketing deja-moo from a Pluribus sales guy I’d been exposed to during a customer engagement). I know that everyone learns in a slightly different way. Let me share the approach that usually works well for me when a tough topic I’m trying to master includes a practical (hands-on) component: running controlled experiments. Sounds arcane and purely academic? How about a simple example? A week ago I talked about this same concept in the Building Network Automation Solutions online course. The video is already online and you get immediate access to it (and the rest of the course) when you register for the next live session. Arista’s OpenFlow implementation doesn’t support TLS encryption. Usually that’s not a big deal, as there aren’t that many customers using OpenFlow anyway, and those that do hopefully do it over a well-protected management network. However, lack of OpenFlow TLS encryption might become an RFP showstopper… not because the customer would really need it but because the customer is in CYA mode (we don’t know what this feature is or why we’d use it, but it might be handy in a decade, so we must have it now) or because someone wants to eliminate certain vendors based on some obscure missing feature. We’re slowly wrapping up the autumn 2017 Building Network Automation Solutions online course, so it’s time to schedule the next one. It will start on February 13th and you can already register (and save $700 over regular price as long as there are Enthusiast tickets left). Do note that you get access to all course content (including the recordings of autumn 2017 sessions) the moment you register for the course. You can also start building your lab and working on hands-on exercises way before the course starts. I’ll leave to your imagination how this relates to stretched VLANs, ACI, NSX, VSAN, SD-WAN and a few other technologies. It’s always great to see students enrolled in Building Network Automation Solutions online course using ideas from my sample playbooks to implement a wonderful solution that solves a real-life problem. 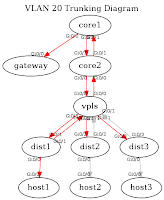 James McCutcheon did exactly that: he took my LLDP-to-Graph playbook and used it to graph VLANs stretching across multiple switches (and provided a good description of his solution). I'm having an internal debate whether to use firewall-based VPNs or DMVPN to connect several sites if our MPLS connection goes down. How would you handle it? Do you have specific courses answering this question? Third vendor in this year’s series of data center switching updates: Cisco. As expected, Cisco launched a number of new switches in 2017, and EOL’d older models … for pretty varying value of old. For example, most of the original Nexus 9300 models are gone. Everyone knows that Service Providers and Enterprise networks diverged decades ago. More precisely, organizations that offer network connectivity as their core business usually (but not always) behave differently from organizations that use networking to support their core business. Obviously, there are grey areas: from people claiming to be service providers who can’t get their act together, to departments (or whole organizations) who run enterprise networks that look a lot like traditional service provider networks because they’re effectively an internal service provider. [In system development] we automate typical tasks from the pre-defined task repository, so I would like to understand broader context as the automation (I guess) is just a part of the change we want to do in the system. Someone needs to decide what to do, someone needs to accept the change and finally the automation is used. Of course he’s absolutely right. I love reading well-argued contrarian views, and Geoff Huston’s Opinion in Defense of NAT is definitely worth the time it will take you to read it. TL&DR: Geoff argues that with all the wastage going on in IPv6 land (most bizarre: let’s give a /48 to every residential subscriber) the number of bits available for IPv6 endpoint addressing gets close to what we can squeeze out of IPv4 NAT. Do I have to buy a VIRL license to use your Ansible course materials? Or is VIRL in any Github repository? Is there a way to use your files in a free Tool like GNS3? During Cisco Live Berlin 2017 Peter Jones (chair of several IEEE task forces) and myself went on a journey through 40 years of Ethernet history (and Token Bus and a few other choice technologies). The sound quality is what you could expect from something recorded on a show floor with pigeons flying around, but I hope you’ll still enjoy our chat. One of the sample Ansible playbooks I published to help the attendees of my Building Network Automation Solutions course get started collects LLDP neighbor information on all managed devices and converts that information into a network diagram. Here’s the graph I got from it when I ran it on my 6-node OSPF network (the Inter-AS VIRL topology from this repository). Please note I spent zero time tweaking the graph description (it shows). When looking at some of the CLIs just front-ending RESTAPIs, I wonder if "survival" of CLI isn't just in the eyes of the beholder. Would you still use BFD even if you have a direct router-to-router physical link without L2 transport in the middle to detect if there is some kind of software failure on the other side? One of my readers sent me an interesting DMVPN routing question. He has a design with a single DMVPN tunnel with two hubs (a primary and a backup hub), running BGP between hubs and spokes and IBGP session between hubs over a dedicated inter-hub link (he doesn’t want the hub-to-hub traffic to go over DMVPN). David Gee (whom I finally met in person during recent ipSpace.net Summit) published a fantastic series of articles on what someone bringing together networking, development and automation should know and do. I listened to Ethan Banks’ presentation on lessons learned running active-active data centers years ago at Interop, and liked it so much that I asked him to talk about the same topic during the Building Next-Generation Data Center course. Not surprisingly, Ethan did a stellar job, and when I heard he was working on QoS part of an upcoming book asked him whether he’d be willing to do a webinar on QoS. Some of the things Ethan Banks writes are epic. The latest one I stumbled upon: Things Network Engineers Hate. I particularly loved the rant against long-distance vMotion (no surprise there ;). One of the design scenarios we covered in Leaf-and-Spine Fabric Architectures webinar is a pure layer-3 data center, and in the “how do I do this” part of that section Dinesh Dutt talked about the details you need to know to get this idea implemented on Cumulus Linux. We covered a half-dozen design scenarios in that webinar; for an even wider picture check out the new Designing and Building Data Center Fabrics online course. In one of the previous blog posts I described the playbook I use to collect SSH keys from network devices. As I use it quite often, it became tedious to write ansible-playbook path-to-playbook every time I wanted to run the collection process. Second vendor in this year’s series of data center switching updates: Brocade. Not much has happened on this front since last year’s update. There was a maintenance release of Brocade NOS, they launched SLX series of switches, but those are so new that the software documentation didn’t have time to make it to the usual place (document library for individual switch models), it's here. In any case, the updated videos (including edited 2016 content which describes IP Fabric in great details) are online. You can access them if you bought the webinar recording in the past or if you have an active ipSpace.net subscription. It is always possible to agglutinate multiple separate problems into a single complex interdependent solution. In most cases this is a bad idea. Most routing protocols are a perfect demonstration of this rule. Sounds familiar (I probably wrote a few blog posts on this topic in the past), and it only got better. Worth Reading: Is More Technology Good for Your Business? Gian Paolo Boarina published a great article following my Are You Solving the Right Problem rant. Long story short: everyone in the networking game has their own agenda, and it’s not necessarily good for you or your business. In June 2017, we concluded the Building Next Generation Data Center online course with a roundtable discussion with Andrew Lerner, Research Vice President, Networking, and Simon Richard, Research Director, Data Center Networking @ Gartner. In the past 5+ years I ran at least one Data Center Fabrics Update webinar per year to cover new hardware and software launched by data center switching vendors. The rate of product and feature launches in data center switching market is slowing down, so I decided to insert the information on new hardware and software features launched in 2017 directly into the merged videos describing the progress various vendors made in the last years. First in line: Arista EOS. You can access the videos if you bought the webinar recording in the past or if you have an active ipSpace.net subscription. Assume you’re migrating from another WAN transport technology to MPLS. The existing network has 3000 routes but the MPLS carrier is limiting you to 1000 routes. How could you solve this with MPLS? Personally, I think MPLS is a red herring. A better question would be “how do you reduce the number of routes transported across your WAN network” or “how do you reduce the routing interaction with your MPLS service providers” (particularly intriguing if you use more than one of them). Readdressing is usually out of question (or at least too messy to try). It might also break numerous firewall rules and other hard-coded stuff… unless you automated everything, but then it wouldn’t be hard to readdress, would it? The usual answer would be to summarize the routes. The usual challenge is that you might not be able to do it (because random addressing). Furthermore, summarization is a lossy compression, and loss of forwarding information might result in black holes. RFC 1925 states that there’s nothing that cannot be solved with another layer of abstraction. In this case, we could use any one or more of a half-dozen overlay technologies (IPsec, GRE, VXLAN, DMVPN, LISP…), or use an overlay technology sprinkled with unicorn dust (aka SD-WAN). The beauty of CE-to-CE tunnels is that they totally eliminate the need for PE-CE routing, and (when combined with VRFs) create independent routing domains, so you can use multiple SPs without the associated hassle. Finally, you could go for a really exotic solution like Carriers-Carrier (using additional MPLS labels as the data-plane abstraction mechanism). Having an interesting design challenge? Check out ExpertExpress – also included in Professional Subscription. With all the intent-based hype (and the previous SDN-will-rule-the-world-hype) you’d think that the network is the ultimate ossified roadblock on the path to agile nirvana. You’d be totally wrong (and you’d deserve it – never trust a vendor peddling a product). Here’s an amazing discovery I made when I was still running on-site SDN and network automation workshops. Day-long data center automation event in Zurich on November 14th (more details soon). Hint: you get access to all live webinar sessions, and 170 hours of downloadable videos with ipSpace.net subscription. Anything else not working? Please write a comment or send me an email. Thank you! Short answer: Yes. However, someone should be really worried if that wasn’t made up. Me: Are you sure you have the device SSH keys in known_hosts file? In the Future of Networking with Fred Baker Fred mentioned an interesting IPv6 deployment scenario: give a /64 prefix to every server to support container deployment, and run routing protocols between servers and ToR switches to advertise the /64 prefix to the data center fabric preferably using link-local addresses. Joel Knight published his blogging toolkit and processes he uses to write blog posts. Definitely worth reading even if you never plan to blog as he nicely documents how to sync creative process across multiple platforms. Even though Software Gone Wild podcast focuses on practical ideas that you could deploy relatively soon in your network, we decided to make an exception and talk about (as one of my friends described it) a unicorn driving a flying DeLorean with a flux capacitor. Are VXLAN-Based Large Layer-2 Domains Safer? If common BUM traffic (e.g. ARP) is being handled/localized by the network (e.g. NSX or ACI), and if we are managing what traffic hosts can send with micro-segmentation style filtering blocking broadcast/multicast, are large layer-2 domains still a recipe for disaster? I was expecting a technical webinar, so I was a little bit disappointed at first with a “meta” webinar, but as I got through I was more than happy; learning such a meta sphere or getting to know other mindsets is very useful for me. The webinar pushed me to think outside of my little world and to open my mind. The BGP timers I’m using in my network are 5 and 15 seconds, and I am not sure if it's a good practice to reduce them even more. You might have noticed the “upcoming webinars” blog widget is gone and I’ll write a blog post every two weeks or so to keep you updated on upcoming webinars and other events. Network automation workshop in Rome on October 18th. Getting bored sitting at San Jose airport waiting for Vagrant to update guest additions in my Ubuntu VM (first item on my to-do list: prepare final version of material for next week’s Docker workshop), so here are my very first impressions of Networking Field Day 16 presentations we’ve seen in the last three days. As always, there were great presentations, good presentations, … and a few that are best forgotten. I won’t mention those. Long story short: I’m offering a few free seats in my Ansible for Networking Engineers online course to undergraduate or master’s students. Interested? Check out the details, and apply before October 1st. PowerShell is a great scripting environment if your vendor provided PowerShell libraries to control their software or devices… but what if all you got is REST API (example: Nexus switches)? We’ll conveniently ignore the challenges of managing devices that use 30-year-old non-scriptable CLI. 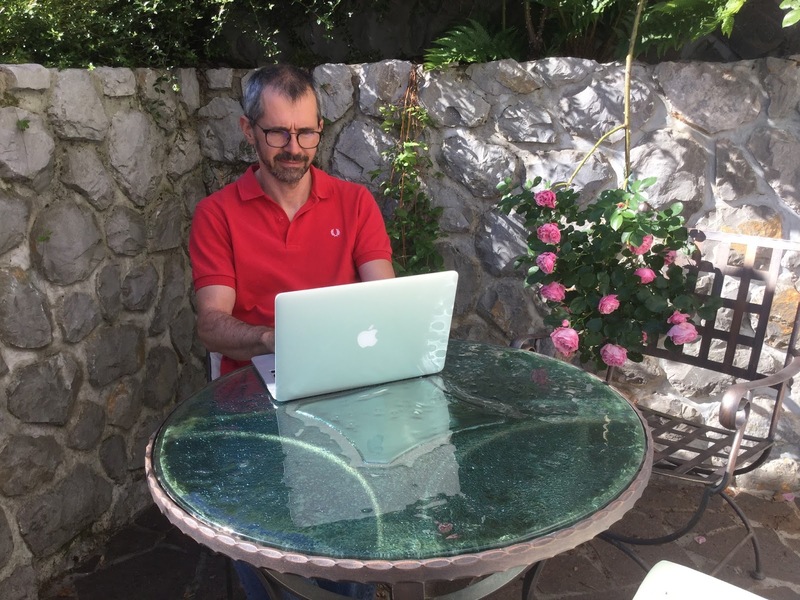 A month ago I told you how dr. Olivier Bonaventure starts his networking course with IPv6. But there’s more: the full textbook for the undergraduate course (Computer Networking: Principles, Protocols and Practice) is open-sourced and available (in source form) on GitHub. The featured webinar in September 2017 is the Ansible for Networking Engineers webinar, and in the featured videos you'll learn what Jinja2 is and how you can use it to generate network device configurations with Ansible. If you already have an trial subscription, log into my.ipspace.net, select the Ansible webinar from the first page, and watch the videos marked with star. To start your trial subscription, register here. Why Is Cisco Pushing LISP in Enterprise Campus? You might have noticed that my blog looks a bit different than it did a few hours ago thanks to fantastic work by Nils & Mathias from Strandrover.Agency (and a bit of homegrown blogger template hacking). We tested all functionality we could think of, if we missed something, please write a comment (they still work ;). When reporting a problem, please tell me what browser (and browser version) you're using and whether you're using a web proxy (like Cisco Web Security Appliance). Last week Frank Denneman published a technical overview of the solution and I was mostly correct. Plenty of new stuff was added to the Ansible for Networking Engineers online course and webinar since the last update. Fun things first: I needed adjustable check mode behavior and change tracking in some playbooks, and documented these features in two new videos (online course and webinar). Maybe you could also add the "intent-based network" which is also not so far from orchestration? It got me thinking. The way I understand intent-based whatever, it’s an approach where I tell a system what I want it to do, not how to do it. There are two reasonable ways of building a layer-2 leaf-and-spine fabric: use VXLAN (the direction almost everyone in the industry is taking at the moment), or routing-on-layer-2 technology like TRILL or SPB. Technology introduction, including an overview of encryption mechanisms, Carrier Ethernet connectivity models, typical deployments, and key management challenges. Market overview, including standards, control- and data plane considerations, key- and system management, and network integration. Does the course cover only Ansible, or does it also cover other automation tools like Python? The course focuses on how you’d build a network automation solution. Selecting the best tool for the job is obviously one of the major challenges, and so one of the self-study modules describes various automation tools and where you could use them to build a full-blown solution. Rich sent me a question about temporary traffic blackholing in networks where every router is running IGP (OSPF or IS-IS) and iBGP. What’s Next for a Network Architect? One of the use cases we covered in Network Automation Use Cases webinar is a fully-automated data center fabric deployment. Dinesh Dutt (Cumulus Networks) started this section with an overview of challenges you might face in data center fabric deployments. If you want to automate your fabric with Ansible, enroll into the Ansible for Networking Engineers course, or attend the Building Network Automation Solutions course if you want to get a broader view. John Allspaw wrote an interesting blog post describing how he dealt with requests to introduce new technologies or design patterns. While he’s writing from the software development perspective, the ideas apply equally well to network architecture, so go and read what he has to say (and how he defines what engineering method is). In the Introduction section, you mention a use case of upgrading software. Do you have an example playbook? Unfortunately, I don’t. Upgrading software is one of those things that’s almost impossible to simulate in a virtual lab. We’re almost done with our data center infrastructure optimization journey. In this step, we’ll virtualize the network services. Eyvonne Sharp wrote an interesting blog post describing the challenges Cisco might have integrating Viptela acquisition, particularly the fact that Viptela has a software solution running on low-cost hardware. Guess what… Cisco IOS also runs on low-cost hardware, it’s just that Cisco routers are sold as a software+hardware bundle masquerading as expensive hardware. A must-have overview of fundamental Network Automation concepts. I wouldn't face an automation project without understanding these concepts first. In mid-July dr. Olivier Bonaventure (one of the unsung networking heroes who’s always trying to address real-life problems instead of inventing unicorn solutions in search of a problem) sent an email to v6ops mailing list describing how they teach networking. Obviously, Russ White and Shawn Zandi did a great job based on their real-life hands-on experience (they use whitebox switches @ LinkedIn). Daniel Dib is setting up a networking career (from a down-to-earth engineer’s perspective) web site, and started populating it with numerous interviews with fellow networking engineers and architects (all of them well worth reading). Here are my answers to his questions. For more technical details, read this email by Job Snijders. Not so long ago Robert Graham published his anti-net-neutrality arguments which are (no surprise) not much different from what I wrote when I still cared about this argument (here, here, here and here). While I agree with his overall perspective, I completely disagree with his view of Comcast’s initial response to network congestion. Speaking of IPv6, IETF and glacial speeds – there’s been a hilarious thread before Prague IETF meeting heatedly arguing whether the default WLAN SSID should be IPv6-only (+NAT64). Definitely worth reading (for the entertainment value) over a beer or two. There are NMSs that are based on SNMP, their manufacturers that say they can replace an SDN architecture, because they allow to automate the management of the network. How Do I Start Automating Network Device Configurations in an Existing Network? I get a “how do I get started with network automation” question every other week, and when I wrote a lengthy reply to one about configuration templating of existing snowflake network on networktocode Slack channel I decided it’s time to turn my replies into a blog post. Do you have any data available to show the benefits of jumbo frames in 40GE/100GE networks? Johannes Weber published the solutions to his Wireshark challenges. How many did you solve? I developed over a dozen different Ansible-based network automation solutions in the last two years for my network automation workshops and online course, and always published them on GitHub… but never built an index, or explained what they do, and why I decided to do things that way. The inevitable summer decline of visitors has started, so I'm switching (like every summer) to a lower publishing frequency. Given my current focus (here and here) expect one network automation post and one other in-depth post every week… and maybe an occasional this-is-worth-reading link. Monitoring SDN Networks is the featured webinar of June 2017, and in the featured video Terry Slattery (CCIE#1026) talks about network analysis of SDN. If you’re a trial subscriber, log into my.ipspace.net, select the webinar from the first page, and watch the video marked with star… and if you’d like to try the ipSpace.net subscription register here. Trial subscribers can also use this month's featured webinar discount to get a 25% discount (and get closer to the full subscription). Another part of my data center infrastructure optimization presentation is transcribed, edited and published: use distributed file system (at least for VM disk images). Today I can tell you who the first speakers in the autumn 2017 network automation online course will be. Patrick Ogenstad (author of numerous open-source network automation modules and libraries) will talk about his journey to network automation, and lessons learned on the way. David Barroso will talk about his newest project: support of OpenConfig in NAPALM and Ansible (also discussed on a recent podcast). Sounds promising? Why don’t you register before we run out of early-bird tickets? Imagine a service provider that allows you to provision 100GE point-to-point circuit between any two of their POPs through a web site and delivers in seconds (assuming you’ve already solved the physical connectivity problem). That’s the whole idea of SDN, right? Only not so many providers got there yet. Long story short: I’m launching Ansible for Networking Engineers self-paced course today. It’s already online and you can start whenever you wish. Isn’t there already an Ansible for Networking Engineers webinar? Yes. Leaf-and-Spine Fabrics: Implicit or Explicit Complexity? During Shawn Zandi’s presentation describing large-scale leaf-and-spine fabrics I got into an interesting conversation with an attendee that claimed it might be simpler to replace parts of a large fabric with large chassis switches (largest boxes offered by multiple vendors support up to 576 40GE or even 100GE ports). As always, you have to decide between implicit and explicit complexity. Last week I published self-study exercises for the YAML and Jinja2 modules in the Ansible for Networking Engineers webinars, and a long list of review questions for the Using Ansible and Ansible Deeper Dive sections. I also reformatted the webinar materials page. Hope you’ll find the new format easier to read than the old one (it’s hard to squeeze over 70 videos and links on a single page ;). Oh, and you do know you get Ansible webinar (and over 50 other webinars) with ipSpace.net subscription, right? Would BGP communities work? Each regional Internet Exit announce Default Route with a Region Community and all spokes only import default route for their specific region community. That approach would definitely work. However, you have to decide where to move the complexity. What I want to do is to create customer templates to speed up deployment of application environments, as it takes too long at the moment to set up a new application environment. That’s what we all want. How you get there is the interesting part. A while ago I sent out an email to my SDN and network automation mailing list (join here) asking whether anyone uses Open Daylight in anything close to a production environment (because I haven’t ever seen one). Among many responses saying “not here” I got a polite email from VP of Marketing working for a company that sells OpenDaylight-related services listing tons of customer deployments (no surprise there). OpenConfig sounds like a great idea, but unfortunately only a few vendors support it, and it doesn’t run on all their platforms, and you need the latest-and-greatest software release. Not exactly a set of conditions that would encourage widespread adoption. Things might change with the OpenConfig data models supported in NAPALM. Imagine you could parse router configurations or show printouts into OpenConfig data structures, or use OpenConfig to configure Cisco IOS routers running a decade old software. The work of editing transcripts of my two switches presentation is (very slowly) moving forward. In the fourth part of the Optimize Your Data Center Infrastructure series I’m talking about reducing the number of uplinks. Would you think the SDN and Data Center paths would be suitable for a long standing engineer? Absolutely. It's just networking, although it's sometimes disguised a bit. This article was initially sent to my Network Automation mailing list. The spring craziness is still in full swing – we’ll have three webinars this week (a first) and I was so busy I didn’t even have time to write about them. Let’s fix that. Data Center Updates on Monday is the second part of server virtualization, virtual machines and containers update to Data Center 3.0 webinar. We covered virtual machines in the last session (April 25th), this time we’ll talk about containers. David Barroso (now at Fastly) will talk about NAPALM in Ansible on Tuesday. Do you have the feeling that you should know more about network automation, but don't know where to start? I was facing that same problem in 2015, and then started exploring Ansible (plus YAML, Jinja2, Git, Puppet…), creating small playbooks, and finally came to a point where I said "now I know that you can have a small solution solving an actual problem ready in a few weeks even if you know absolutely nothing today". A great essay by Bruce Schneier about (lack of) security in IoT and why things won’t improve without some serious intervention. We have some projects 100% matching these contents and it would be really useful this extra feedback, not just from consultants and manufacturer. Now, I expect in one or two weeks to find some days to be able to follow this webinar in a profitable way, not just between phone calls and emails. Network automation and orchestration is a great idea… but how do you verify that what your automation script wants to do won’t break the network? In Episode 78 of Software Gone Wild we discussed the intricacies of testing network automation solutions with Kristian Larsson (developer of Terastream orchestration softare) and David Barroso of the NAPALM and SDN Internet Router fame. Other than using Excel (and of course an automation tool) any suggestions for a tool to create device config for some 200 customer VRFs from a standard template? Last week a large European financial institution had a bad hair day. My friend Christoph Jaggi asked for my opinion, and I decided not to focus on the specific problem (that’s what post-mortems are for) but to point out something that’s often forgotten: don’t believe your system won’t fail, be prepared to deal with the failure. I keep getting questions along the lines of “should I go with VMware NSX or should I deploy Cisco ACI” every single week, and as you know it’s hard to answer anything but it depends without spending hours on the topic. That’s exactly what we plan to do in Zurich next Tuesday (May 16th) in a DIGS workshop that will run in parallel with the Data Center & Cloud Day (part of the SIGS Technology Conference). What IPv6 Transition Mechanisms Are Actually Being Used? We would appreciate any insight you might have as to which transitional mechanisms the ISPs are actually deploying. Assume you have A,B and C connected in a triangle (with an alternate longer path to C). What happens if C loses its links to A and B? Won’t the traffic to C loop between A and B for a while? Just wondering if you have a chance to check out VxRail. I read the data sheet and spec sheet, but have never seen anyone using it (any real-life experience highly welcome – please write a comment). Ansible, Puppet, Chef, Git, GitLab… the list of tools you can supposedly use to automate your network is endless, and there’s a new kid on the block every few months. In Episode 77 of Software Gone Wild we explored Salt, its internal architecture, and how you can use it with Mircea Ulinic, a happy Salt user/contributor working for Cloudflare, and Seth House, developer @ SaltStack, the company behind Salt. Jordan Martin published a nice summary of what I’ve been preaching for years: centralized control plane doesn’t work (well) while controller-based network orchestration makes perfect sense. Short update for those that read the original blog post: it turns out that the answer to the question “Is it possible to run VMware NSX on redundantly-connected hosts in a pure L3 data center fabric?” is still NO. VTEPs from different ESXi hosts can be in different subnets, but while a single ESXi host might have multiple VTEPs, the only supported way to use them is to put them in the same subnet. I removed the original blog post. A huge thank you to everyone who pushed me with their comments and emails to find the correct answer. I’ll be doing several on-site workshops in the next two months. Here’s a brief summary of where you could meet me in person. Wondering how exactly routing on hosts works? Dinesh Dutt explained the details in this 10-minute video during the Leaf-and-Spine Fabric Designs webinar. I published the third installment of the Optimize Your Data Center Infrastructure story on my main web site. In this part I’m telling you to go with 10GE and consider 25GE. After the last US-based ipSpace.net workshop a lot of people asked me about the next one. It took a long time, but here it is: I’m running an on-site automation workshop together with several friends with outstanding hands-on experience in Colorado in late May. During Cisco Live Europe 2017 (where I got thanks to the Tech Field Day crew kindly inviting me) I had a nice chat with Peter Jones, principal engineer @ Cisco Systems. We started with a totally tangential discussion on why startups fail, and quickly got back to flexible hardware and why one would want to have it in a switch. I recently finished editing the videos from the Leaf-and-Spine Designs update to the Leaf-and-Spine Fabrics webinar, so it wasn’t hard to select the featured webinar for April 2017. The featured videos now include BGP in the Data Center by Dinesh Dutt, SPB Deep Dive by Roger Lapuh, and VXLAN with EVPN control plane by Lukas Krattiger. One of my readers considered joining the Building Network Automation Solutions course but wasn’t sure whether it would help him solve the challenges he’s facing in his network. Fortunately, his challenges aren’t that hard to solve. The most interesting part: for unknown reason IOS-XE gives different answers about capabilities on ports 830 and 22. In case you’re wondering why we’re stuck with old stuff like TCP, IPv4, OSPF, and a few other bits and pieces that were invented decades ago when we could be using the glitzy controller-based software-defined whatever, read the blog post by Martin Sustrik. He talks about software, but we’re facing the same challenges in networking. Lukas Krattiger (Cisco Systems) was the guest speaker in Layer-2+3 fabrics part of the Leaf-and-Spine Fabric Design webinar, and he started his presentation with an overview of how we use overlays in data center fabrics. Most network automation presentations you can find on the Internet focus on configuration management, either to provision new boxes, or to provision new services, so it’s easy to assume that network automation is really a fancy new term for consistent device configuration management. However, as I explained in the Network Automation 101 webinar, there’s so much more you can do and today I’d like to share a real-life example from Jaakko Rautanen, an alumni of my Building Network Automation Solutions online course. Johannes Weber built a CCNP practice lab, configured 22 different protocols in it, and took packet captures of all of them happily chatting. To make things more interesting he created 45 challenges that you can solve with Wireshark using the pcap file he published. Beginning with Cisco NX-OS Release 7.0(3)I2(1), Cisco Nexus 9000 Series switches handle the CLI configuration actions in a different way than before the introduction of NX-API and DME. The NX-API and DME architecture introduces a delay in the communication between Cisco Nexus 9000 Series switches and the end host terminal sessions, for example SSH terminal sessions. 2017-05-08: The behavior is caused by an old bug in Linux TTY driver. Fixed NX-OS versions are planned to be shipped in late May 2017. More details here.